Certain types of wood are rot resistant. If you are looking to add a lovely wood fence to your property, but are worried about all the maintenance, you are not alone. While wood has a timeless and irresistibly classic look that can add charm to your property, is more high maintenance than other materials. Wood can be vulnerable to weather, sun, wind, and even rot and infestation. However, there are actually a number of rot-resistant woods out there that stand strong and tall. Read on to learn more about them. Ipe is an especially common wood, used in numerous products. It is sourced from the tropical tree genus Tabebuia, which is colloquially known as Trumpet Tree in South Florida. This incredibly dense wood weathers gorgeously over time and eventually turns to an attractive muted silver gray. For these reasons, it has gained popularity in recent years. 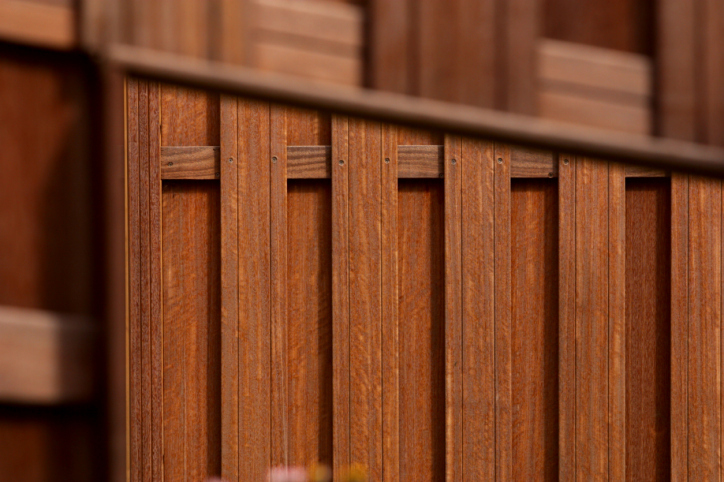 Which Type Of Rot-Resistant Wood Should You Choose? Ultimately this will depend on a number of factors. Your budget must be considered. Ultimately, your choices may be limited by the availability of certain types of wood. As different woods have different colors and looks, this also will ultimately shape your decision. It is key that you also know just how important it is to you that the wood used for your fencing is rot-resistant, as not all woods of this type are equally resistant. This entry was posted on Friday, February 17th, 2017 at 11:17 pm. Both comments and pings are currently closed.